Wilhelm Heinrich Schuessler did not set up his practice as a homoeopathic physician until he was 37. As his father had been unable to finance his studies, Schuessler made a living as a court clerk at the town council of Oldenburg (Germany). In his spare time, he educated himself in many areas with great enthusiasm, with an iron will studying six foreign languages, (Latin, Greek, English, French, Italian and Spanish) which he not only spoke fluently but also mastered in written form. In 1852, he began studying medicine in Paris, continuing his studies in Berlin and obtained his medical degree in Giessen. Before returning to Oldenburg, he studied for a further three semesters in Prague. Remarkably, Schuessler studied without having priorly obtaining his Abitur (German “A” Levels). After he had obtained his doctorate, however, he sat for his “A” Level exams. From 1858, he worked as a successful homoeopathic physician, publishing many articles about homoeopathy in the following years. Around 1870, however, there was a turnaround in Dr. Schuessler’s work after he had learned of Prof. Jacob Moleschott’s studies spanning the area of cell research. For the first time, Schuessler obtained scientific confirmation of what he had long suspected – namely that disturbances at the microorganism level in the human body were triggered by a deficiency in minerals. Although Schuessler had achieved outstanding successes with homoeopathy for many years in his practice, he was not altogether happy with this form of therapy. He was perturbed by the randomness that made homoeopathy increasingly complicated. He now untiringly began to research in this field and slowly but surely turned away from the homoeopathic method of healing. During his research, Dr. Schuessler increasingly saw that the clarity and simplicity of all laws in the whole of nature were becoming manifest. Driven by this, he searched within increasing zest for action for a healing method that had tight boundaries and that did not require constant enlargement. In 1873, Schuessler published his first research results on the new healing method, thereby creating a sensation. One year later, he wrote the following in his book “Eine abgekürzte Therapie” (“An Abbreviated Therapy”): “Therapies that have such moving boundaries, allowing them to incorporate new remedies at any time, either retaining or discarding old remedies, cannot provide the certainty that is necessary for the sick and for the remedies to be deemed scientific”. It goes without saying that this statement did not find favour with his homoeopathic colleagues. His increasing awareness of the clarity and simplicity of all the laws of nature led him to search for a way of healing that had tight boundaries and did not require constant enlargement. Schuessler drew his inspiration from other researchers. In addition to Jacob Moleschott, these were, above all, Rudolf Virchow, Justus von Liebig and Gustav von Bunge. Initially, 12 cell salts were identified for the biochemical healing method. 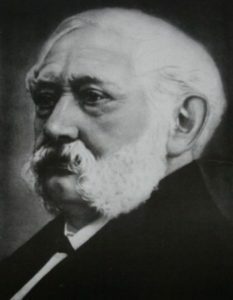 From about 1887, triggered by the research results of Gustav von Bunge, a consequential correction of error took place in the area of biochemical cell salts. Schuessler removed Calcium sulfuricum from his biochemistry and, from that point on, he worked with eleven cell salts. Eleven salts suffice completely to cure all illnesses that are curable at all by taking internal remedies. Nonetheless, today there is still mention unfortunately of 12, 24 or sometimes even more Schüssler cell salts. In that regard, something is attributed to Dr. Schuessler that neither stems from him nor is in keeping with what he would have wanted! Up to today, due to its small number of healing remedies, Schuessler’s biochemical healing method has not found much recognition in medical circles. To achieve an optimal result, Dr. Schuessler liked to administer the different salts in molecular form. Biochemical salts are produced in accordance with the homoeopathic trituration method, making the mineral salts easily absorbable by the cells. The fact that the biochemical salts are triturated in the same way as homoeopathic remedies makes it difficult for some homoeopaths to draw a demarcation line between the two healing methods. In connection with this biochemical method of healing, Dr. Schuessler repeatedly mentioned facial diagnostics, dedicating a whole chapter to this method in his book “Eine abgekürzte Therapie (An Abbreviated Therapy)”. As we can identify from this, Dr. Schuessler saw the opportunity to make a diagnosis on the basis of the facial signs. He intuitively mastered facial diagnostics in its basic structure and gave precise and practical instructions for self-study, but he did not make precise statements about the characteristics of individual facial signs. However, he did write about the extraordinary effects that could be elicited from the biochemical therapy if it was prescribed in accordance with facial diagnostics.